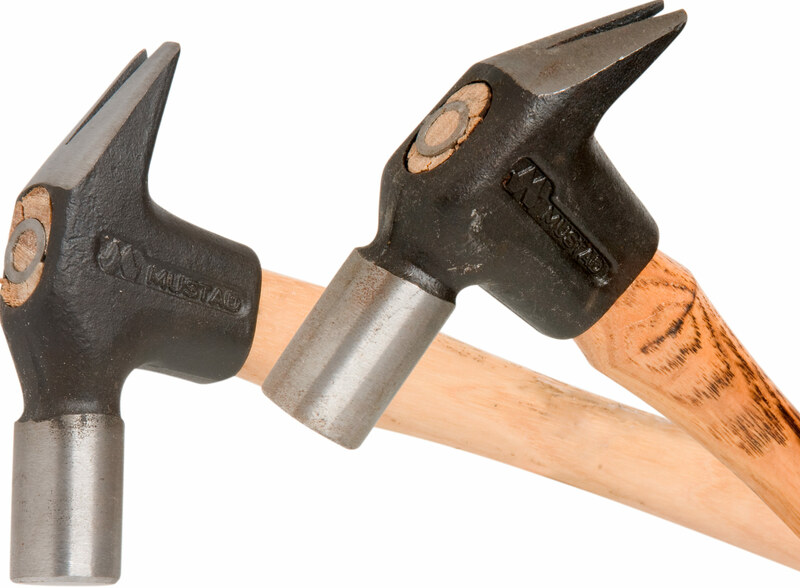 The Mustad driving hammers with a wooden handle have a fine, well-balanced grip and come in three different weights. The round, slightly curved hammer head increases the power when driving the nails. When a nail is not completely driven in, the finely detailed claw helps to remove it easily. This claw is also used to bend the nail back into the hoof wall. The turning of the end part of nail in US style is also easily possible.